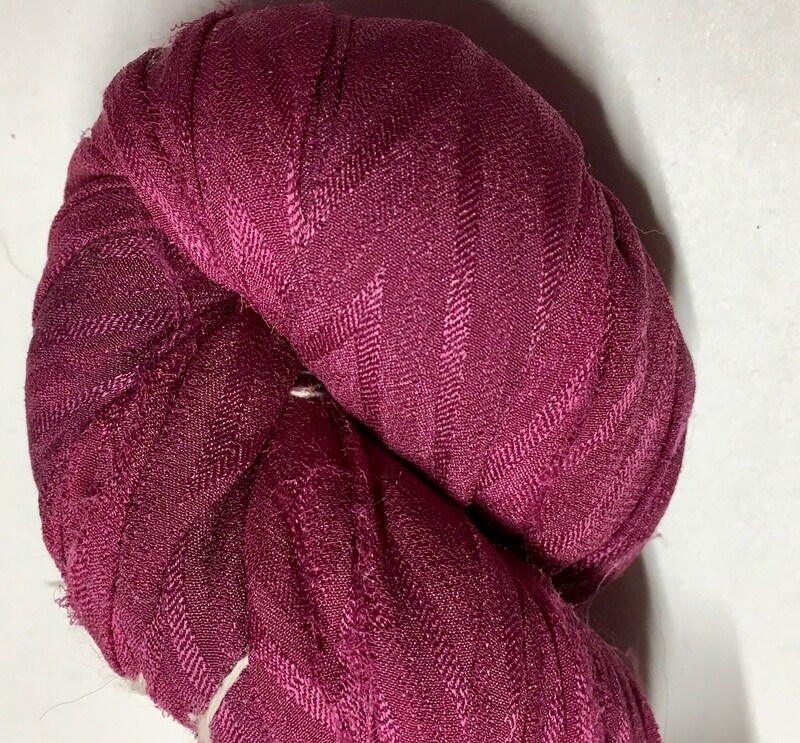 Fuchsia pink shade of silk chiffon ribbon hand made in India. Each skein is a silk and polyester blend. Each skein has it's own personality and contains about 80 yards of this ribbon - which includes varying textures and widths of ribbon - around 1/2" to 1/4" in width, no elasticity. The frayed edges and irregular widths add to its unique nature. Ribbon is tied or sewn together throughout the skein. 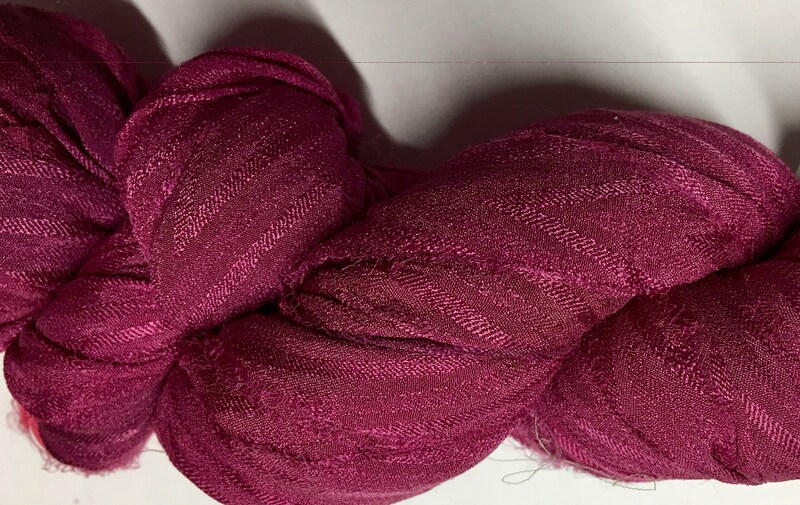 Silk sari ribbon is perfect for unique knitting and crochet projects, jewelry projects such as kumihimo as well as creative decorating and gifting!